Bite Buff: Blogiversary- 3 Years! YAY!!!! I hope you're going to celebrate with cake! 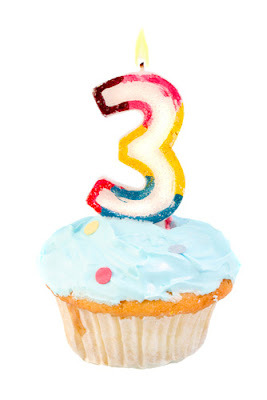 Congrats on three great years of blogging! I'm looking forward to the Taco Tuesday and Dining Deal features - great ideas! Happy Blogiversary!! Are you poppin bottles tonight in celebration? 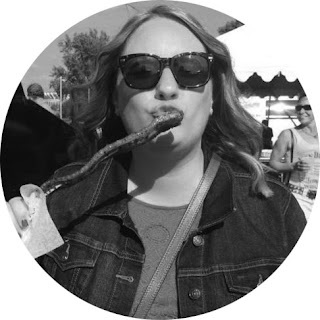 Happy blogiversary -- I just realized I completely missed my second one. Hahaha. I am a huge fan of Dining Deals - can't wait! I haven't been to Deagan's for taco night, we need to go! The shrimp tacos on the regular menu are good. I'd like to try more. woohoo, happy blogiversary to you!! Happy Blogiversary! I'm looking forward to reading about dining deals. A very Merry Unbirthday to you (since I'm a day late). Congrats! After only about a year and a half myself, I know 3 years is quite a feat!